New research from a University Hospitals Rainbow Babies & Children's Hospital (UH Rainbow) study found that children ages 1 to 3 years accounted for one-fifth of all ER visits caused by complications from asthma, representing the highest proportion of visits among asthma patients under age 21. In addition, 55 percent of all ER visits due to asthma occurred in boys, and fall months - September, October and November - had a relatively high proportion of visits compared to other times of the year. The research was presented at the American Academy of Pediatrics (AAP) National Conference in Orlando. 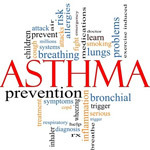 Asthma is the most common chronic childhood disease, affecting close to seven million children in the U.S. More than two-thirds of asthma-induced ER visits occurred among children residing in areas with annual household income levels below $50,000. The study also found the total asthma-related ER charges across the U.S. totaled $2.6 billion, averaging to about $1,300 per visit. Medicaid paid for half of all these visits, while private insurance plans paid for about 35 percent. The majority of children were treated and discharged routinely from the ER, while about one in 10 were admitted to the hospitals as patients. "This study looked at more than 2.3 million ER visits among children with asthma, and we identified some interesting trends that give a baseline to find better ways to help children with asthma control this very treatable disease," said Aparna Roy, MD, MPH, lead author of the study and resident at UH Rainbow and Case Western Reserve University School of Medicine. "These findings reinforce the need to educate parents, especially those with children at higher risk, about how to manage the disease on a day-to-day basis to avoid costly emergency visits." At AAP, Dr. Roy also presented an analysis of adverse drug events (ADE) among hospitalized children in the U.S. from 2003 to 2010. Results revealed that medication errors and ADEs in pediatric inpatient settings gradually increased between 2003 and 2010, although the cause for this increase requires further study. Overall, of the more than 62 million hospitalizations among children in the U.S. during this time frame, less than one percent experienced ADEs. "While the overall incidence of adverse drug events among hospitalized children was low, nearly half a million children experienced ADEs and the steady upward trend of ADEs among this population is worrisome. We are planning additional research to evaluate whether better ADE reporting may play a role in this increase and if we can identify common causes so we can better reduce the number that occur," said Dr. Roy.